I'm a social scientist who writes theology. What that means is that I often import the sensibilities of social science into theological conversations. 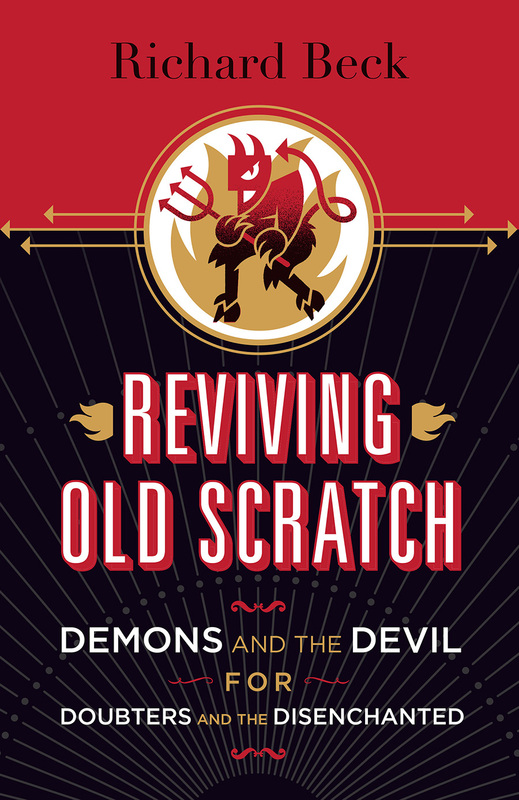 An example of that can be found in my new book Reviving Old Scratch and how I handle the existence of the devil. Every semester I lecture on sleep and dreams, a unit in my Introduction to Psychology class. The lecture is packed full of descriptive details. The cycles of our circadian rhythms. The four stages of sleeps. The contrast between REM and Non-REM sleep. The distinction between nightmares and night terrors. Phenomenon like sleep paralysis. It's really one of the most interesting lectures of the semester. And inevitably the question comes. A hand is raised. "Dr. Beck, why do we dream?" And the answer is, we really don't know. There are bunch of different theories. And I review each of these, but there is no consensus about which theory is right. And the point I make to the students is that, when it comes to dreams and a host of other phenomena, there is a difference between description and explanation. Both description and explanation are solidly scientific. All that we know about Non-REM and REM sleep is from hard-core science. But it’s descriptive science, describing, for example, what the brain waves are doing as you move through Stage 1 sleep to Stage 4 sleep and then into REM. But that rich, empirical scientific description isn’t explanation. We don’t know why the brain needs to do this, why we dream. We do have some theories about why we dream, but we don’t know which, if any of them, is correct. So what we have here is a collection of different explanations for the same phenomenon. Everyone agrees with the description, but we disagree on the explanation. Sleep isn’t the only example here. When it comes to the etiology of mental illness you’ll get competing explanations from your therapist depending upon if he or she is working from a humanistic, psychodynamic, cognitive, behavioral or some other theoretical model. These theoretical models all differ when in comes to the explanation of depression—Why is Susan depressed?—but everyone agrees on the clinical description of depression. In short, there is a difference between description and explanation. And many times when we disagree with the explanation we can all agree with the description. Which brings us to the devil. Last night in my conversation with N.T. 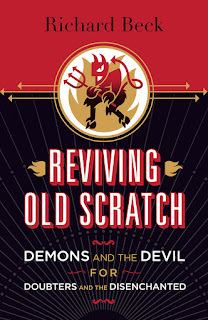 Wright and Greg Boyd, I brought up this distinction in how I handle the devil in Reviving Old Scratch. I don’t try to resolve the issue about if the devil actually exists. I leave that as an open question. What I try to do instead in Reviving Old Scratch is good, rich descriptive work. When it comes to spiritual warfare and the devil, believers and skeptics might disagree about why, for example, we experience temptation. Maybe it's because a literal demon is sitting on your shoulder whispering into your ear. Or maybe it is due to an innate and evolved tendency of human psychology. The explanations might differ. But we all agree on the description. Here, right now, I’m finding it difficult to act the way Jesus would have acted. In a word, love is hard. Now, why is love hard? Explanations will abound. Regardless, we all agree--descriptively speaking--that love is hard. Some people might find this approach infuriating or coy. We'd like a straight answer, Does the devil exist? Yes or no? My tendency is to bracket questions like that. And a large part of that is because I’m trained as a social scientist. You can do good empirical descriptive work in situations where there is explanatory disagreement. And what I find most useful about this is that in many theological discussions, when you shift away from explanation to description, you can get warring and irreconcilable theological positions to find common ground.